New Delhi: Prime Minister Narendra Modi and China's President Xi Jinping are expected to meet on the sidelines of SCO summit in Astana this week, sources have said. The meeting is expected to help bridge the increasing gap in ties between the two nations, which has grown fast over issues like One Belt, One Road or the OBOR project and China's opposition to India's membership in the exclusive nuclear club NSG. Last month, India had boycotted the opening of the One Belt, One Road or OBOR project in Shanhai in which nearly 40 nations had participated. India raised strong objections to the project, part of which runs through Pakistan Occupied Kashmir, raising the question of territorial integrity. But last week, India was invited to join the SCO -- a six-nation political, economic and trade consortium -- by Russian President Vladimir Putin during Prime Minister Narendra Modi's visit to St Petersburg. Expressing his gratitude, the Prime Minister said thanked Mr Putin for his "active role" and "initiatives taken" in getting India the SCO membership. The Shanghai Cooperation Organisation was founded in 2001 in Shanghai by the leaders of China, Kazakhstan, Kyrgyzstan, Russia, Tajikistan, and Uzbekistan. India - along with Pakistan - is expected to be formally inducted in the grouping during the conference at the Kazakh capital, which would be held on June 8 and 9. So far both nations had observer status. PM Modi and President Xi are also expected to attend the G20 summit next month in Germany's Hamburg. It would be followed by the BRICS (Brazil, Russia, India, China, South Africa) summit in China's Xiamen in September. President Xi had last visited India in October 2016, in what was seen as a fresh boost to India-China ties. But the downturn started soon after, with China's refusal to allow India entry into the Nuclear Suppliers Group, the elite global group that controls nuclear trade. China has also opposed a permanent membership for India at the UN Security Council. 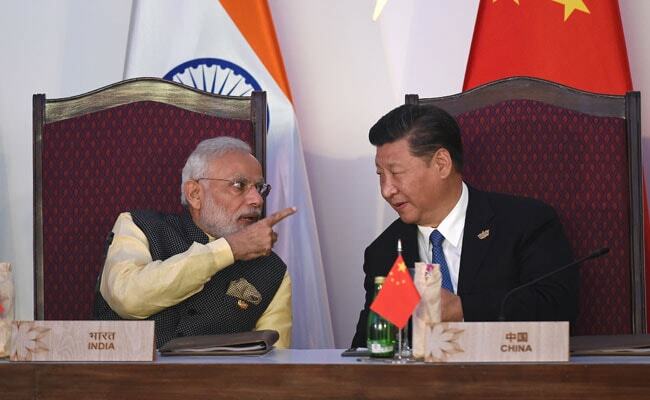 New Delhi was also upset over Beijing blocking a request at the UN to sanction Masood Azhar, the Pakistan-based head of terror group Jaish-e-Mohammed, which has attacked military bases in India.